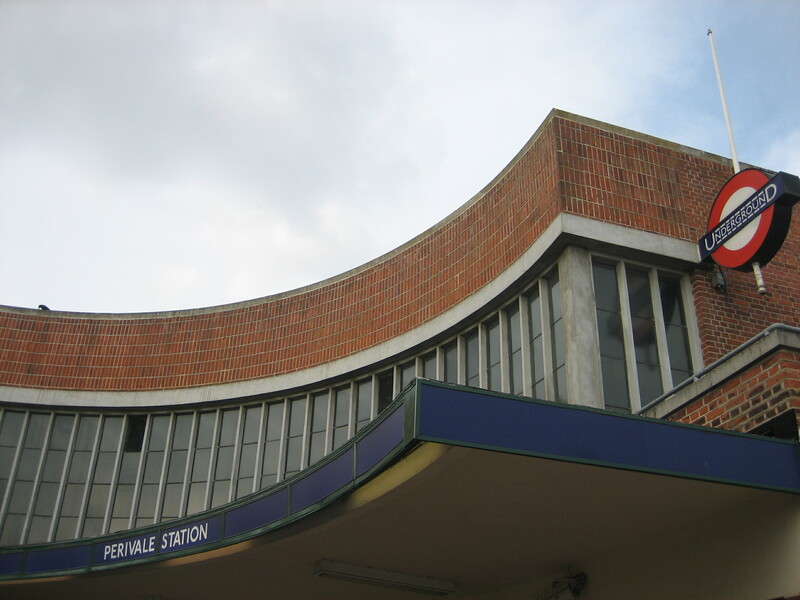 Perivale station was given Grade II listed status in July 2011. I’m surprised this took so long. The building was opened in 1947, meaning a total of 64 years passed before it was deemed worth protecting in law. This does seem an awfully lengthy period. I’d have thought – or hoped – the station’s elegance and style would have been self-evident the moment it was finished. 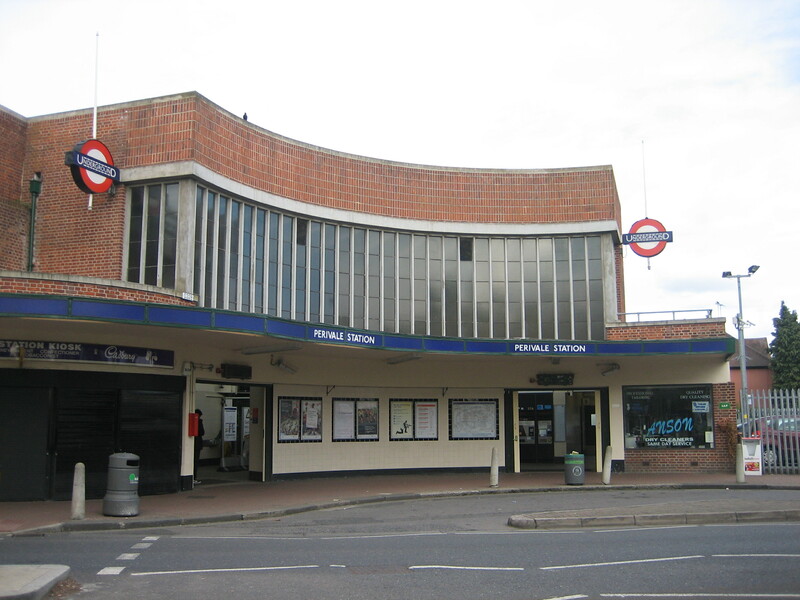 Perhaps there was lingering ill-feeling towards such a unashamedly modernist construction taking the place of what went before, for there has been a station a Perivale since 1904. And to be fair, the original incarnation does sound quite charming, with “long wooden platforms” and “pagoda huts”. But times, and tastes, change. I’m not sorry this rather dashing building exists.